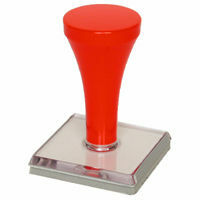 Hand stamps come in approx 50 sizes from 10mm square up to 100 x 60mm. Prices vary according to size. For example, the smallest being an S1 is $10.00. A price will be provided when we send a proof.